If you're at risk of experiencing vision loss due to macular degeneration, or you just want to make sure that you're doing all you can to prevent the development of macular degeneration and cataracts as you get older, you want to ensure regular intake of a special group of carotenoids and other select nutrients. I'm pleased to report that after substantial research and testing, we're now able to provide a professional grade, target formula that contains these nutrients for optimal eye and vision care. It's called Vision Support, and is available at our online natural health resources area. Please note that the carotenoids in this formula are fat-soluble and are therefore best absorbed into your bloodstream while in the presence of healthy fats. So for optimal results, it's vital that you take Vision Support with a meal that contains some healthy fat. Avocados, nuts, seeds, coconuts, coconut oil, broth made with bones, organic eggs, and wild fish are all good examples of healthy foods that contain healthy fats that can help facilitate absorption of carotenoids and other fat-soluble nutrients. Though the suggested serving size is two tablets daily, one tablet per day is a good amount for those looking to use this formula for prevention, while two tablets is a good amount for those who are at higher-than-average risk of developing age-related macular degeneration or cataracts. Please note that this formula comes with a guarantee: If, after trying it daily for half a year or more, you don't feel that it's helped your eyes and vision in a measurable way, let me know and I'll see to it that you're given a full refund. I tested this formula for close to a year, and I fully stand behind the consistent quality and effectiveness of this target formula. 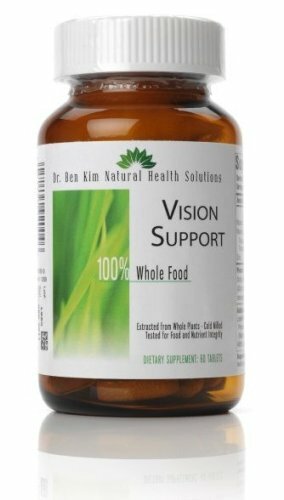 Vision Support contains a patented combination of lutein, zeaxanthin, and meso-zeaxanthin. Lutein is a yellow-orange carotenoid that is found in dark green leafy vegetables. Lutein acts to protect your eyes against free radicals that can cause macular degeneration and cataracts. Meso-zeaxanthin is not commonly found in food sources. It is created by your body from lutein, though some people appear to have difficulty synthesizing meso-zeaxanthin, which likely increases risk of developing age-related macular degeneration. The combination of lutein, zeaxanthin, and meso-zeaxanthin provides an armor-like defense for your eyes. These nutrients can help rebuild macular pigment and protect your eyes against harmful blue light. The net effect is protection against deterioration of vision. I think it's worth noting that the patented lutein, zeaxanthin, and meso-zeaxanthin blend that is included in this formula provides these carotenoids in the same ratio that is found in healthy eyes (50% lutein, 25% zeaxanthin, and 25% meso-zeaxanthin). This is likely one of the reasons why this blend is highly effective at lowering risk of early stage AMD, and at delaying the onset of late stage AMD in cases where vision loss is imminent. People who have age-related macular degeneration typically have only 60% of the total carotenoids that are found in healthy eyes. 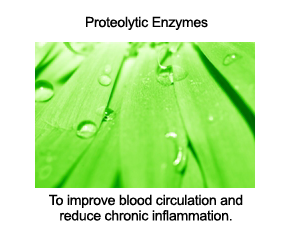 Research involving AMD patients has shown a 30% decrease in meso-zeaxanthin and a 20% decrease in zeaxanthin levels. A powerful antioxidant, vitamin C plays an important role in your body's response to physical and emotional stress, particularly within the chambers throughout your body that contain aqueous fluid, including your eyes. Vitamin C also plays a vital role in the production of neurotransmitters that affect eye function. Vitamin C is sixty times more concentrated in the lenses of your eyes than it is in your blood. Phenolic fruit concentrate provides a rich source of flavonoids, which are powerful inhibitors of oxidative damage. Flavonoids work closely with vitamin C to stabilize the integrity of all cell membranes and prevent aging of the cells throughout your eyes. Vitamin E provides additional antioxidant protection for the tissues that make up your eyes. In particular, vitamin E is essential for protecting natural fats that enter your system from becoming damaged and generating free radicals. Bilberry is abundant in anthocyanins and polyphenols, both groups of antioxidants that can provide significant protection against oxidative damage in your eyes. It's thought that bilberry extract may improve visual function by increasing regeneration of a pigment called rhodopsin, which is essential to clear night vision. Kale adds more layers of antioxidant strength to this formula. Specifically, it's rich in beta-carotene, lutein, and indole-3-carbinol. Of all the dark green leafy vegetables commonly found in regular grocery stores, kale ranks near the top in terms of diversity and overall antioxidant strength. Spinach is included in this formula because it is one of nature's best sources of lutein. And we've already mentioned that lutein offers significant protection against age-related macular degeneration and cataracts. Spinach is also rich in two additional antioxidants: glutathione and alpha-lipoic acid - more on these ingredients a bit further down. Turmeric is included for its antioxidant capacity. Specifically, turmeric enhances the activity of one of the most important detoxifying enzymes in your body (glutathione S-transferase). Studies indicate that turmeric's antioxidant activity surpasses that of vitamin E and beta-carotene. 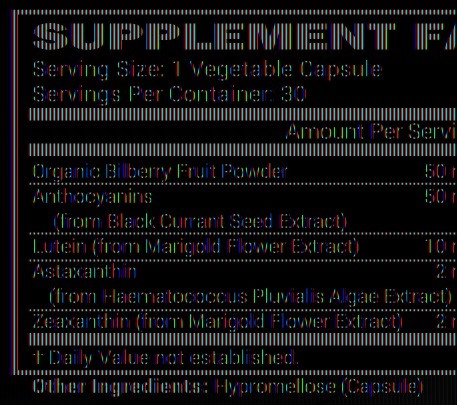 Grape seed and fruit extract are included in this formula to add even more antioxidant diversity. Specifically, grape seed and fruit extract provide resveratrol, polyphenols, and oligomeric proanthocyanidins. Zinc is included because it is vital to the health of your retinae. Being deficient in zinc increases risk of developing night blindness. 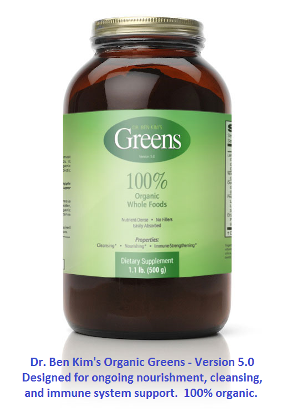 Alpha-Lipoic Acid (ALA) is a powerful antioxidant that protects both aqueous and lipid media throughout your body. It is naturally created in low levels in your body, but as you age, your body produces less. Studies indicate that taking alpha-lipoic acid can help prevent cataract formation by protecting pigment cells in the eyes from oxidative damage. ALA can also help with diabetes-related eye damage by assisting with conversion of sugar into energy. ALA also helps to recycle essential eye antioxidants glutathione, vitamin C, and vitamin E.
Glutathione is an antioxidant enzyme that is required in high concentrations by virtually all of your cells. It plays an essential role in ongoing detoxification of all of your cells, including those throughout your eyes. One again, the recommended serving size is one or two tablets daily - one tablet if you are already consistently getting some or all of the nutrients mentioned above through your diet and looking to use this formula for prevention, and two tablets if you are not eating a plant-based, nutrient-rich diet and/or at higher-than-average risk of developing macular degeneration or cataracts.